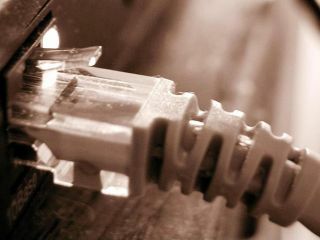 The number of broadband connections in the UK shot up by a third last year, according to new figures from analyst firm Point Topic . In the fourth quarter of 2006 there were 13.1 million broadband connections in the UK, up from 9.8 million in the same period the previous year, Point Topic said. The 33 per cent increase in UK broadband connections is slightly higher than the global average (31 per cent), putting the UK at number seven on Point Topic's global table of broadband connectivity. Worldwide, some 281.3 broadband connections existed at the end of last year. The US topped the list with 57.3 million connections, followed by China (51.9 million), and Japan (26.1 million). In Europe, France had the highest increase in number of broadband connections, up by 40 per cent. DSL connections "remain the most popular broadband access technology," Point Topic said. They currently hold a worldwide market share of 65.7 per cent - although fibre to the home is also coming on strong, accounting for some 10 per cent of the broadband market.